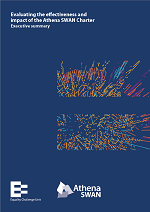 There are a number of useful publications that we at Oxford Research & Policy feel are well worth a look. The reports below present examples of Good Practice which we strongly recommend. Good practice is generic so don’t be put off where the research was carried out in disciplines different from your own. 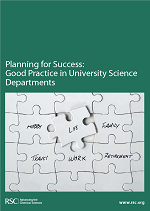 Planning for success: Good Practice in University Science Departments was published by the Royal Society of Chemistry and contains many examples of generic good practice which can be adapted for use by university STEMM departments. The report can be downloaded here. 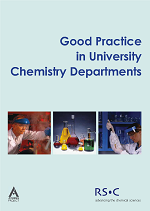 The forerunner to “Planning for Success” – Good Practice in University Chemistry Departments also sets out generic examples of good practice which are still relevant. The good practice guide can be downloaded here. 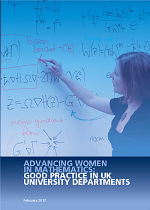 A more recent Good Practice Guide published by the London Mathematical Society, Advancing women in mathematics: good practice in UK university departments, presents examples of good practice found in UK mathematics departments, which can be downloaded here. 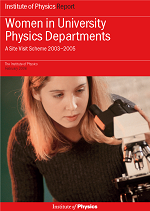 The Institute of Physics has also published its own report on good practice, Women in University Physics Departments. You can downloaded the report here. 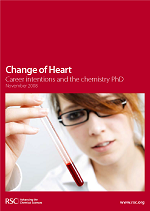 Change of Heart: Career Intentions and the Chemistry PhD presents the results of a survey of PhD students and notes a number of gender differences (download the report here). 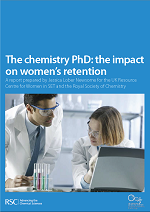 The Chemistry PhD: the Impact on Women’s Retention reports on a follow up study to the first report with a deeper exploration of some of the issues that affect retention in science (download the report here). 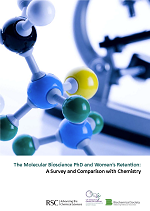 The Chemistry PhD: the Impact on Women’s Retention presents the results of a survey of molecular bioscience PhD students, and draws comparison with the results of the survey of chemistry PhD students (download the report here). Don’t forget the postdocs when thinking about good practice. Have your processes and procedures been adapted to suit postdocs’ needs? 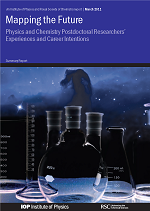 The Institute of Physics and the Royal Society of Chemistry surveyed postdocs and published Mapping the Future: Physics and Chemistry Postdoctoral Researchers’ Experiences and Career Intentions, a summary of the main findings together with recommendations. The summary and the full report are both available. Although the reports are based on the survey findings from physics and chemistry postdocs, as with most work around these issues, the findings are important for all subjects. 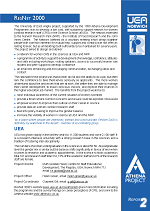 The Athena Project closed in 2007 but its reports are still relevant. The selection below shows how disparate universities adopted different approaches to a common goal the identification and then the removal of the barriers to women’s career progression in STEMM. 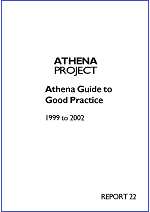 Athena Guide to Good Practice 1999 to 2002 provides a composite guide to the good practice developed by universities in the first four years of Athena. It shows how small simple changes made a difference; the good practice was not institution specific and it benefitted all – staff and students, men and women. Download the report here. The University of Luton (Bedfordshire) recognised that committee participation was an intrinsic part of academic life, but not ‘controlled’ by the university. They developed systems to ensure the appropriate representation of women academics on university committees. 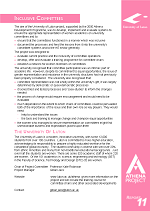 Their report Inclusive Committees describes what they did and can be downloaded from here. The University of Surrey’s approach was that the barriers to women’s representation and progression were the result of indirect and subconscious discrimination. Their approaches and findings are in the report Moving Up available here. The first was a post doc network based at UEA . Its members recognised that if they were to influence senior university management they needed hard data. They ran a survey which identified the key factors for successful careers. 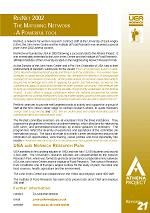 The survey was the forerunner of Athena’s ASSET survey. The report ResNet 2000, which shows how much a network can achieve, can be downloaded here. 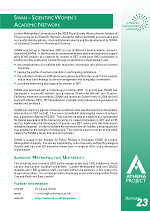 The report ResNet a Maturing Network, which takes the story forward, can be downloaded here. The second was a virtual reality network set by London Metropolitan University – the Scientific Women’s Academic Network (SWAN) launched with conference in 2002, the idea and the first draft of the SWAN Charter emerged from the final conference plenary session. Follow this link for full details. 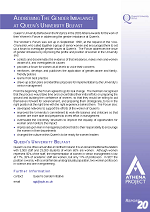 Two universities, where change was led from the top, were involved with Athena from the early days of their work on women in STEMM – Queens University Belfast and Imperial College London. Both won Royal Society Athena awards in 2002 and went on to be the first two holders of Athena SWAN Silver University awards. In 1999 the Vice Chancellor of Queens Belfast asked a group of senior women to establish a forum to address the university’s gender imbalance by improving the profile and position of women in the university. How they went about this, what they did, and why it worked is described in Addressing the Gender imbalance at Queens University Belfast available here. What the committee did and why it worked is described in Challenging Culture- The Rector’s Committee on Academic Opportunities which can be downloaded here. Reports on the ASSET surveys are available. Report 26 ASSET 2003 (available here) covers links between activities which influence career progression, and F/M perceptions and experiences of the practices and processes which can act as barriers. Occasional Paper 4 provides data combined from the 2003 and 2004 surveys and comparisons with research institutes and can be downloaded here. 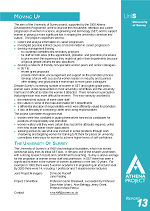 The Equality Challenge Unit has commissioned two evaluations of the Athena SWAN Charter. The first, published in 2011, was based on the findings of interviews and focus groups conducted with vice-chancellors, pro vice-chancellors, department heads, equality and diversity leads, and academics and researchers in STEMM disciplines at five institutions is available here. The second evaluation was carried out by a team from Loughborough University in 2013. The summary and the full report can be downloaded here. 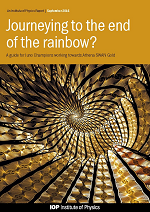 The Institute of Physics has produced a guide for Juno Champions working towards Athena SWAN Gold. 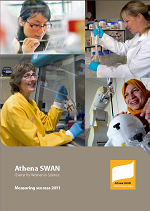 Although produced specifically with physics departments in mind, the information is useful for all departments working for higher Athena SWAN awards. The report is available here.